Migration is in the nature of man/woman and though he/she is appreciative of the fact that he/she has to adopt the way of life in the new land, he/she need not abandon the people, the culture, and the tradition of the land he/she once lived in.  Provide a common forum for the people from the State of Bihar and Jharkhand to exchange views affecting their social life. 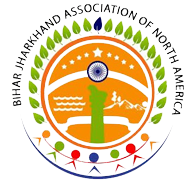  Promote social and cultural activities of Bihar and Jharkhand in North America.  Promote the general welfare of the people of Bihar and Jharkhand origin and ancestry both in India and North America through charitable activities. Such activities may include providing scholarships, helping financially disadvantaged and with basic human needs, etc.  Assist people seeking vital medical and educational help.  Assist visitors, immigrants, and dignitaries from the State of Bihar and Jharkhand in accomplishing their noble missions in North America. Section 1. The association may have regional offices at such other places as the activities of the association may require. Section 1. A life/annual/honorary member of BANA shall become a life/annual/honorary member of BJANA respectively. Section 2. Any individual eighteen years or older, who subscribes to the objectives of the BJANA may become a member upon the approval of the Executive Committee and subject to the rules and regulations prescribed by the By-Laws of the BJANA. Any person of Bihar and Jharkhand origin or related to such person(s) will become BJANA member by registering themselves in BJANA Member’s email directory which is available at http://BJANA.org website. Section 3. Whenever the word “member” is hereafter mentioned, it shall mean a registered member (life, annual and honorary) on the current membership roster maintained by the Executive Committee. Section 4. The immediate family members and friends of BJANA shall be entitled to participate in all activities of BJANA and shall be entitled to all privileges of BJANA members except voting rights. Immediate family members will consist of spouse and minor children. All registered members who also satisfy the requirement as under the Article VII, Section 2 of this ByLaws, shall have voting rights. Section 5. An honorary membership may be awarded to a distinguished person upon approval of the Executive Committee. He/she shall be entitled to all membership privileges as provided in Section of 4 of Article II. Section 6. There will be no fee for membership. 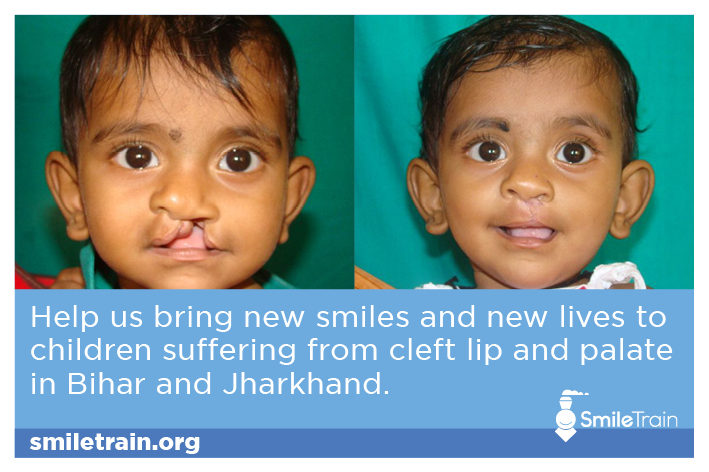 However all members are encouraged to donate to the BJANA fund for it’s operation and charitable works. Section 1. In pursuant to Section 3, Article I, chapters of the BJANA may be opened in different locations of North America. Section 2. A chapter in North America will be headed by one area representative who will be nominated by the Executive Committee. The area representative shall be a member of the BJANA and shall be entitled to membership privileges as provided in Article II. Section 1. The business and the property of the BJANA shall be managed and controlled by an Executive Committee which shall serve for a term of two calendar years. The Executive Committee members shall hold office until the annual meeting of all members or until the election and induction of their successors. The Executive Committee shall be elected by voting by the members. There will be 10 year term limit for serving in the executive committee. Section 2. The Executive Committee shall consist of a core group of five officers plus a minimum of four committee members. Each officer and member shall serve until the term of the Executive Committee expires, or until his/her resignation or removal. The Executive Committee can grow to a maximum of 25 members with 5 officers (or office bearers) and 20 committee members. No officer and member shall hold more than one position at any time. Section 4. The Executive Committee shall have the power to appoint twelve (16) additional Executive Committee members in order to compensate for long term absence or inactivity on the part of elected Executive Committee members in order to form a more cohesive and stronger team. These appointments will be made by the executive Committee following their election on as needed basis. The total number of officers and members on the team shall not exceed twenty one (25). Section 5. The President shall preside over all meetings of the Executive Committee of the BJANA. He/she shall hold and exercise general charge and supervision of the affairs of the BJANA and shall additionally perform such other duties as may be assigned to him by the Executive Committee in keeping with the policy of the BJANA regarding organizational and administrative matters. Section 6. Vice President shall be responsible for promoting membership of the BJANA. In addition, he/she shall assist the President in carrying out his/her responsibilities and, in the event of the President’s absence or disability, shall hold and exercise the powers of the President. the members of the BJANA. He/she shall keep a record, containing the names, alphabetically arranged, of all members of the BJANA, showing their places of residence, and such books (electronic or hard copies) shall be open for inspection as prescribed in the By-Laws. He/she may sign, with President in the name and on behalf of BJANA, and contracts or agreements authorized by the Executive committee. He/she shall, in general, perform all duties relating to the office of the General Secretary, subject to the control of the Executive Committee, and shall do and perform such other duties as may be assigned to him/her by the Executive Committee. Section 8. Joint Secretary shall assist the General Secretary in carrying out his/ her responsibilities. Section 9. The Treasurer shall have the custody of all funds, and property of the BJANA, subject to such regulations as may be imposed by the Executive Committee. When necessary or proper, he/she may endorse on behalf of the BJANA all collections of checks, notes, and other obligations and shall deposit the same to the credit of the BJANA at such bank or banks or depository as the Executive Committee may designate. He/she shall make such payment as may be necessary or proper on behalf of the BJANA. He/she shall enter regularly on the books of the BJANA to be kept by him/her for the purpose, full and accurate account of all money and obligations received and paid or incurred by him/her for the account of the BJANA and shall exhibit such books at all reasonable times to any member on application at the office of the BJANA. He/she shall, in general, perform all the duties incumbent on the office of the Treasurer, subject to the control of the Executive Committee. Section 10. The members of the Executive Committee shall participate in the planning of activities of the BJANA in conjunction with other office bearers of the Executive Committee. They will become members and/or coordinators of special subcommittees as and when designated by the President and on the advice of the Executive Committee. A BJANA member/ non-member may be asked to serve on such committees if beneficial to the cause of such committees. Section 11. All member of the Executive Committee shall be honorary and shall receive no salary for their services, except as reimbursement for expenses incurred on behalf of the BJANA. Section 12. Any member of the Executive Committee may resign at any time by given written notice of such resignation to the President of the BJANA and shall take effect upon the approval by the President and on the advice of the Executive Committee. of the members of the BJANA called for the purpose. The removal from the Executive committee shall be for the malfeasance, for conduct detrimental to the interest of the BJANA, for lack of sympathy with its aims and objectives, or for refusal to render reasonable assistance in carrying out its purposes. Any executive member proposed to be removed shall be given two week’s notice and shall be entitled to appear before and be heard the Executive Committee at such meeting. Section 14. The President or any other office bearer of the Executive Committee may resign at any time. Such resignation shall be made in writing and shall take effect upon approval of the executive committee. 1. a) President: The Vice President shall become President for the remainder of the term. 2. b) Vice President, General Secretary, Joint Secretary, and Treasurer: Executive Committee members shall fill in such vacancies for the remainder of the term. 3. c) Executive Committee Members: The vacancy shall be filled from the general membership of the BJANA for the remainder of the term by nomination for the Executive Committee. Section 16. At any meeting for the Executive Committee, the presence of seven members shall constitute a quorum in the transaction of any business. When a quorum is present to conduct a meeting, it will not be broken by subsequent withdrawal of any member. Section 17. The members of the Executive Committee may not enter into transaction, or otherwise act for and on behalf of the BJANA prior to the approval of the Executive Committee. Section 18. All corporate powers, except such as are otherwise provided for in these By-Laws and in the laws of the State of New York, shall be and are hereby vested in and shall be exercised by the Executive Committee. The Executive Committee may be general resolution delegate to its subcommittee, or to individual members of the Executive Committee such powers as it sees fit. c) A complete financial statement showing a balance sheet, and receipt and expenditure incurred during the year, compiled by a CPA. Section 1. BJANA may constitute an Advisory Board which will consist of twelve distinguished persons whose contribution to the functioning of the BJANA is considered valuable. Such Board shall be formed by the recommendation of Executive Committee. The number of members can be increased or decreased at the discretion of the Executive Committee. Section 2. A member of the Advisory Board may or may not elect to subscribe to the membership fee and become a BJANA member. If he/she does not elect to become a member, he/she will enjoy the privilege of an honorary membership. Section 1. A general meeting of the members of the BJANA shall be held bi-annually to conduct transactions of business. Holi, Diwali & Summer Picnic gatherings can be considered as general meeting of members where the scheduled election, results of the election and other activities of the Executive Committee will be discussed. Section 3. A meeting of the Executive Committee shall be held on a regular basis decided by the Executive Committee at designated places and times. Teleconference may be used as a substitute for in-person meeting as and when decided by the Executive Committee. Section 4. Special meetings of the Executive Committee for any purpose or purposes may be called by the President acting on his/her own or at the request made in writing by three members of the Executive Committee. The notice for such meetings shall state the purpose or purposes thereof and indicate at whose request the meeting is being called. Section 1. Executive Committee can have total 25 members with 5 office bearers and a maximum of 20 Executive committee members. 5 Office bearer and a minimum of 4 members are required for team election nomination filing. Section 2. All member 18 years and older shall be considered as a voter provided they have their Full Name, current Postal address in North America, Email address and Phone Number recorded with BJANA. Section 4. As part of nomination form filings, teams running for the election are required to agree with the Election Committee rules and also agree that they will abide by the Election Committee’s decision in regard to the election results which will be final and binding to all teams. Section 5. After the successful completion of the election, the Election Committee shall cease to exist. Section 6. In the case of non-filing of nominations, the retiring Executive Committee shall nominate an Ad-hock Committee to continue the business of the association for one year. Section 7. The Election Committee shall follow Sections 8 through 25 of Article VII as Guidelines in conducting elections of BJANA Executive Committee. These guidelines will assist Election Committee in resolving demands arising during the election process. The Election Committee may make suitable changes in the schedule, time, place, and date of the election if deemed necessary to conduct the election properly. Section 8. In order to hold the general election, the Executive Committee shall meet between the month of August and September of the election year and nominate three Election Committee members and demonstrate the process of online voting through software/services it has selected/contracted for conducting the on-line election. Voters shall be able to cast their votes by following a website link sent to them through a secure email directly from the Election Committee, and by making their selection of a team slate in full privacy of their own. Section 10. Election Committee shall decide all the dates related to the election process in consultation with BJANA Executive Committee in a way that does not interfere with the Executive Committee’s ongoing event preparations. The Election Committee shall mail a notice announcing the election schedule and related dates for Nomination filing, Withdrawal, Team introductions, Election day, Results announcement at least four weeks before the election day. Any BJANA team interested in running should reach out by phone or email to the Election Committee to request a copy of Nomination Form. Section 11. Each team running for election will be required to submit their team members’ profile and introduction of team members & office bearers as part of the nomination filing. The profiles of team members should include team’s vision and not exceed two standard Letter size pages when printed in min. size 10 font. Section 12. Oversight of transition to the new team: Election Committee shall oversee the transition of following information to the new team. Election committee shall not request nor have any access to this information. The new committee shall acknowledge receiving all such informations. Section 13. Sensitive information such as Bank and similar account information should change hands and new President and Treasurer should assume control in a separate meeting between the office bearers of outgoing and incoming committees. President and Treasurer of both teams will decide on place, date and time they should meet and transfer the control of these details. Section 14. Election Committee should use email address with bjana.org domain only for all email communications they need to send to Members and Voters. No individual email addresses of election committee members should be used in communicating with BJANA members. This email should also have email forwarding service and each election committee members should receive a copy of the email sent to that particular email address. In order to provide privacy to Members and Voters, only three election committee members should receive these emails pertaining to election matters. Personal email can however be used to communicate with participating team leaders. Section 15. Election Committee shall consult BJANA Executive Committee for interpretation of existing Bylaws and Guidelines and also consult in cases when existing Bylaws do not cover for certain situations. Executive Committee shall, in consultation with Election Committee, pass resolution to provide appropriate guidelines. Election Committee decisions shall be final and binding in accordance with the ByLaws. and appear on two slates. Only members as defined in Article II shall be eligible for nomination, proposing, seconding and voting. Section 17. The Election Committee shall keep a chronological record of each team’s nomination received. It shall verify and acknowledge each nomination. Any candidate on the team may withdraw his or her nomination by notifying team’s nominated president and the Election Committee. The final list of teams will be announced by the Election Committee as per the Election Schedule. Section 18. The latest ByLaws with amendments and a list of voters consisting of valid phone numbers, postal and email addresses shall be provided by the Executive Committee to the Election Committee on or before an agreed upon schedule. Section 19. The Election Committee shall verify the qualification of all voting members. All voting members and candidates for election must be registered in BJANA member directory by the date defined by the Election Committee and in accordance with Section 2 of the Article VII. The Election Committee shall have the right to verify the list of voters for their right to vote. Missing email addresses or phone numbers shall disqualify a voter. Section 20. Each team running for election will be required to submit their team members’ profile and introduction of team members & office bearers as part of the nomination filing. The profiles of team members should include team’s vision and not exceed two standard Letter size pages when printed in min. size 10 font. Section 21. Only Election Committee shall be authorized to contact BJANA eligible voters through email and educate them about the teams in the fray. It shall send introduction/profile of all teams either in the same email or separate email or along with the email that would carry link to the online ballot to the eligible voters. Section 22. Under no circumstances, candidates for the election should be given access to the email and postal addresses of BJANA member community. For team’s canvassing requirements, Election committee may decide to disclose phone numbers and names of members only under a written undertaking from the team members so that they are bound to not release this information to any unauthorized entity/business/person. All liability of such lapses or disclosure of such private information shall be transferred from BJANA to individual team members. Section 23. For the matter of communications between teams in the fray and the Election Committee, only person from the team running for ‘President’, ‘General Secretary’ or a team member appointed by these two office bearers, shall be allowed to take part in official discussions and correspond with the Election Committee. Section 24. Teams have a right to lodge complains/concerns to Executive committee about any election matter. Based on the merit of the issue, Executive Committee may decide to take up this matter with Election Committee and find a resolution by making changes to guidelines. Section 1. The Treasurer will be in charge of the bank passbooks, check books, etc., and shall maintain proper vouchers and/or cancelled checks for all expenses to best of their ability. Section 2. The bank accounts shall be operated under the name of BIHAR – JHARKHAND ASSOCIATION OF NORTH AMERICA, and funds may be placed in interest bearing accounts or checking accounts or in both. 1. a) The Treasurer/General Secretary/President for BJANA transactions. 2. b) The executive committee will empowered to decide if a joint signatures is required for any transactions exceeding $2000.00 (two thousand dollars). Section 1. In the event of the dissolution of the organization, the assets and the liabilities of the organization shall be transferred to a willing organization of a comparable nature. The decision about the dissolution, as well as the transfer of assets and liabilities shall be approved by the Executive Committee. This proposal will be sent to the general body. An affirmative vote at the general body meeting will be required to approve the dissolution of the organization. Section 2. In the event of the dissolution of the organization, the assets, and liabilities of the BJANA will be transferred to an organization of a comparable nature. The recipient organizations must be one which satisfies the requirement of the section 501 (c) (3) of the Internal Revenue Code, or Corresponding section of any future Federal tax Code or the assets shall be distributed to the Federal or State or local government for a public purpose.